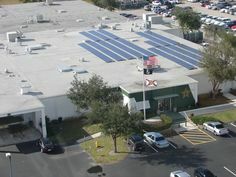 With so many people in Southwest Florida preparing to head north for the summer, We are getting lots of calls from people with solar panels. 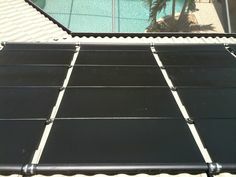 How do you get your solar pool heater ready for summer? If you are not planning to use your solar pool heater in the summer, the most important thing you can do to protect your system is to drain and isolate it completely. 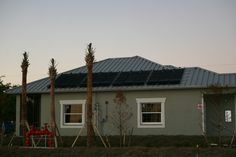 Most of the systems installed by professionals have isolation valves that allow you to stop the flow of water into and out of the solar panels and roof plumbing. Just closing the 3-way solar bypass valve is not enough. There are two ways that water can continue to rise to the roof when the bypass valve is closed (through the return line if there is no check valve present and through a small hole in the 3-way valve that is present for daily draining purposes). If you do not have check and/or isolation valves in your system to isolate your system, we can install them for you. If you do not drain your system completely, water can stagnate in the panels and plumbing causing excessive temperatures. While usually not a problem, occasionally this leads to severely warped or swollen PVC pipe on the roof. Black pipe exhibits this problem more than white pipe, but extreme temperatures can also cause white pipe to discolor and warp. This phenomenon may be more pronounced in Southwest Florida due to our long, hot summer and numerous part-time residents. Roof plumbing issues due to improper operation of your system is not covered under warranty. 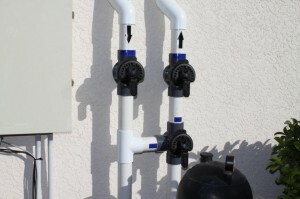 Your system is likely plumbed to drain automatically when the pool pump is turned off, or a manual drain may be installed. To isolate your system, first turn your pump off, let the system drain completely for a couple of hours (or drain panels manually if necessary). If you are able, opening the lower header end cap on the roof is a fail-safe way to make sure your panels are completely empty. Once the system is completely drained, close your isolation valves. Please keep reading, especially if you have automated valves! It is critical that the 3-way solar bypass valve remains in the solar-off (bypass) position. If the 3-way valve is turned to the solar-on position and the isolation valves are closed, your pump will “dead head,” possibly causing catastrophic failure of your plumbing or pump. Click here for additional information about how to identify open and closed valves. If you have an automated controller, there are multiple ways to turn your solar pool heater off, but generally speaking you can turn the desired temperature down as far as it can go. Some controllers have manual off switches. The motorized actuator on the 3-way solar bypass valve has a switch that can be used to stop the valve from turning. Unless you are very comfortable with your automation system and/or pool valves, it is not recommended that you attempt to isolate your solar pool heater for the summer without professional assistance. For a nominal charge, we can come out to fully drain and isolate your system and return after summer to start, test, and optimize your system.